In the current challenging environment, oil and gas operators are continuously looking for ways to reduce project costs and increase efficiencies, while ensuring health and safety is not compromised. 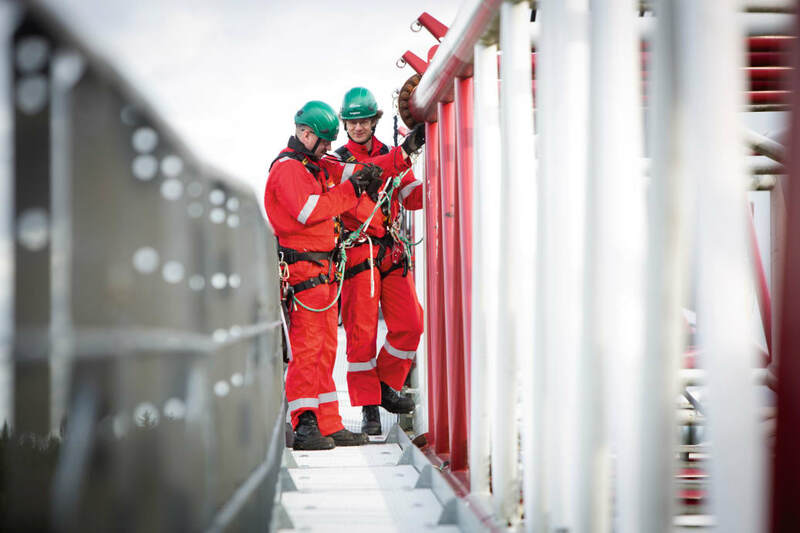 There are many procedures which require individuals to work at great heights on an offshore platform or vessel, including rope access and crane operations. The increase in decommissioning of complex assets and growth in the renewables market are ensuring that demand for these skills continues to rise. This offshore platform safety article will explore areas of working at height including risks and benefits and crucial health and safety guidelines. Rope access is a traditional method, having existed for more than 30 years. It is an approach that is being used progressively more for maintenance and inspection operations offshore. Due to its efficiency, it is viewed as a more financially viable option when compared to the costly and technically complex alternative of constructing scaffolding. Today, rope access is considered a more attractive option to scaffolding compared to when oil prices were hitting highs of more than $100. Although scaffolding is a popular method for inspection and maintenance work at height, it is a time intensive procedure as the structure needs to be built before the work is carried out and then safely removed at the end of the job. For long-term projects this is a viable option, but for short-term work it’s not cost and time-efficient in the current tight market. The design of offshore structures has become more sophisticated in the last 10 years and this has led to complex, hard to reach areas where rope access is often the only option. Rope access allows for the individuals completing the work to be at height for the least amount of time possible, which is more advantageous when it comes to safety. The method is also beneficial as it requires minimal impact on other operations and the surrounding areas of the structure. 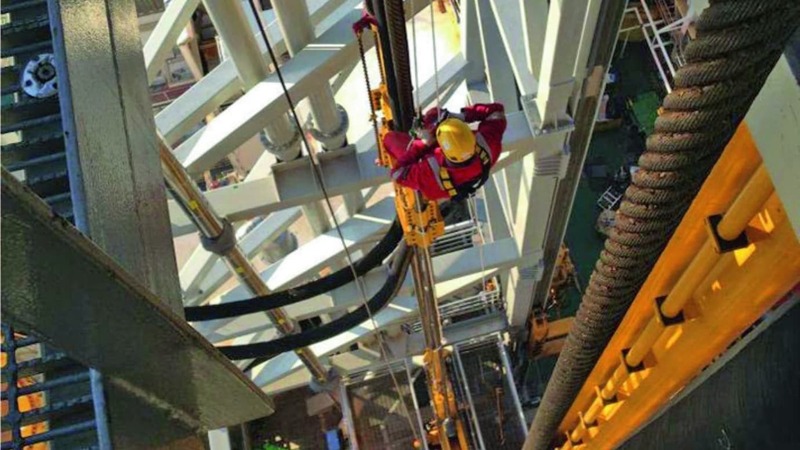 In terms of manpower, fewer people are required in a rope access operation compared to scaffolding work, with only three or four required at maximum. In a scaffolding operation, three or four individuals would be required to build the structure before a second team carried out the work. Personnel already on board the asset with rope access qualifications can carry out the work, which almost halves the required individuals for an operation and cuts overall project costs and risk. The company recently conducted an inspection project on board a large Floating Production Storage Offloading (FPSO) vessel harboured in Guyana, utilising rope access as a safe and efficient method. The client required extensive areas of pipework to be prepared and re-painted in difficult to reach areas, which meant a solution was needed that provided an alternative to building multiple scaffolds to reduce resources, equipment downtime and to be safely executed within a tight timescale. We proposed the mobilisation of a three-man rope access team to execute the work scope. This allowed the specialist team to reach all areas of pipework without the need for scaffolding, utilising specialist access equipment including podium seats, sliding beam anchors and catch nets, as well as standard rope access equipment. We assessed the proposed work scope and engaged the offshore implementation team from the quotation and planning stage to ensure they fully understood the client’s requirements from the outset. The team was equipped with cameras so they could take multiple before and after shots to demonstrate the areas prepared and painted. This allowed the client to record what was painted and when, ensuring they were always fully up-to-date with progress. The work scope was completed on time and without incident. One of the team was even awarded ‘catch of the week’ by the company for an outstanding safety observation. Rope access work also brings with it a number of risks. Safety must be of the highest priority and this encompasses both the human factors and equipment. The technician must trust their equipment implicitly and understand its limitations. All equipment in rope access operations is managed in accordance with the Lifting Operations and Lifting Equipment Regulations 1998 (LOLER) which stipulates that equipment is inspected in-house before every mobilisation. Inspectors are required to attend a fourday specialist training course for rope access equipment management. For every rope access operation, the individual will always have two ropes so in the case of an equipment issue, there is always a back-up system. All equipment must be inspected by highly trained and experienced inspectors before any project mobilisation to ensure the materials provided are to the highest standard. Rope access technicians require the right length of ropes for any given operation and also a means to control their movement. Ascenders and descenders are pieces of equipment that are clipped on to each rope and used for controlling the direction and speed of the ascent and descent. All equipment is extensively tested by the manufacturer and relevant industry bodies to ensure they cause no damage to the rope while ensuring slippage is controlled. Following every project, the rope access kit is returned, fully cleaned and inspected. Equipment must be thoroughly examined every six months. The technicians on site will confirm that this examination has been carried out. During use the operatives will undertake personal daily checks of their equipment as well as ensuring that they adopt a ‘buddy system’ at all times so as to remain vigilant of their team-mates safety. Level one is designed for beginners to the field with no previous experience and provides both theoretical and practical assessments. The five-day course covers rope access techniques currently used, including simple rescue procedures. This qualification allows the operative to be responsible for their personal safety under the supervision of a level three supervisor. Level two is for personnel who hold a level one rope access technician qualification with 1,000 practical logged hours and 12-months experience. 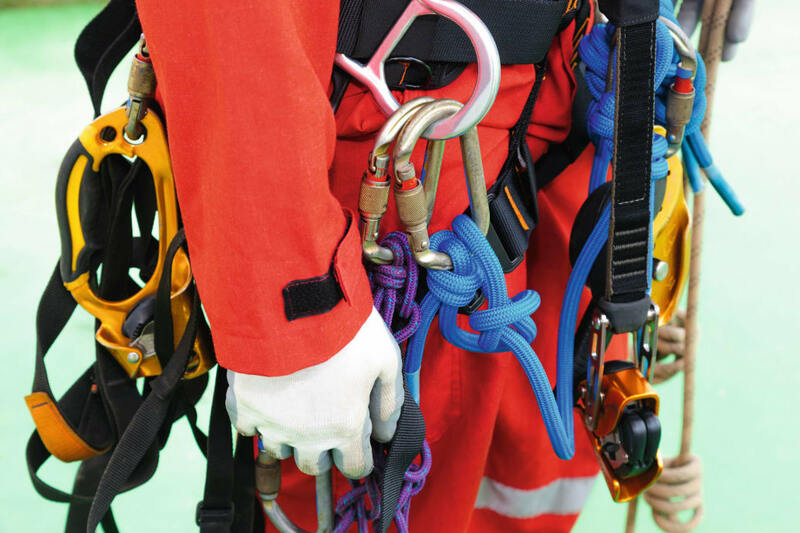 This qualification requires the technician to be competent in rigging working ropes, undertaking rescues, and performing complex rope access tasks under the supervision of a level three supervisor. Level three is the final progression and requires the individual to have a further 1,000 practical hours logged and 12-months experience in a level two position. A level three supervisor must be capable of complete safety responsibility, undertaking advanced rescues and have a comprehensive knowledge of relevant legislation. Almost all rope access courses are approved by IRATA. IRATA assures safe and responsible working based on a strict code of conduct, audited and regularly re-audited member companies, robust membership entry criteria, independent assessments of every IRATA trainee operative, an unrivalled level of site supervision and mandatory work procedures. The organisation’s methodology has an unrivalled safety record, short set-up and dismantling time, positive environmental benefits and also removes the need for invasive access equipment or disruption to a worksite. IRATA dictates that rope access technicians always work in pairs to ensure no lone working, and thereby reducing any safety concerns. For particularly difficult operations whereby technicians are accessing the side of a rig, over water, or in particularly difficult position underneath rigs, companies may choose to have a team of three or four technicians. It’s important for a team of experienced rope access technicians and managers to conduct a site assessment before every project. Depending on the structure’s complexity it can require a team of two or three highly skilled individuals to create a project plan. This plan details how to get the operative in position to carry out the required tasks, ensuring stability of the individual and planning for a safe return to the fixed asset. The surrounding area is an important consideration as obstacles such as beams and electric cables could be present, but not necessarily directly visible from the work area. An aspect that is vital in any rescue plan is where the operatives can secure their ropes. For example, workers cannot connect ropes to pipework or handrails as their strength cannot be accurately defined. While structural steelwork is generally used, prior planning and engineering analysis is essential to ensure operatives know what is safe to attach themselves to while moving around. In any working at height operation, planning is key for the safety of the project. If you can accurately define the plan, then all safety aspects and possible outcomes will be considered. This makes the actual operations on-site very simple as the plan is already defined. Before a rope access operation, all available information on the installation or vessel is collated and the work area is determined. This includes the maximum height at which the operatives will be working and can include the topmost parts of large structures, introducing risks requiring mitigation such as exposure. The main aim is to find the quickest and safest way to get the team in a stable position to carry out the work. Most of the planning is also creating a contingency should anything go wrong. This is vital. 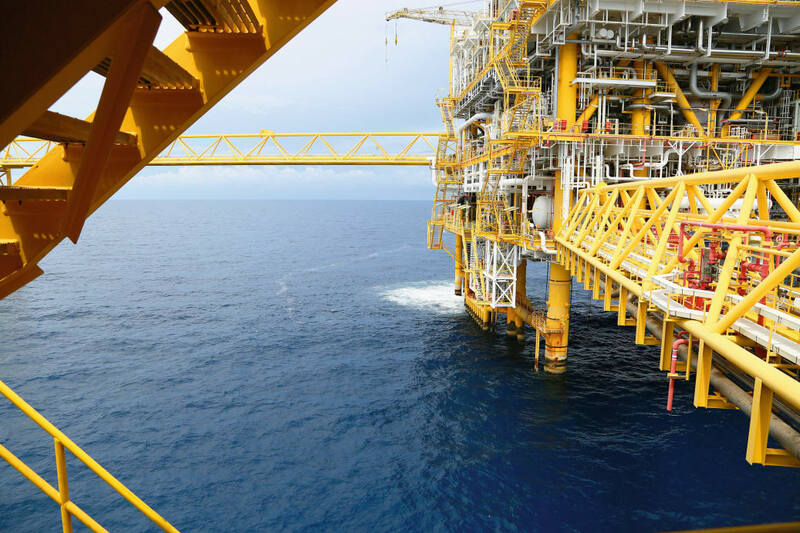 Ideally, we want to ensure the offshore operative is actually at height for the shortest period of time, and if there is an issue, we can quickly rectify this. It’s all about reducing the time and potential risks of being exposed to working at height. The environment also plays a huge role in the planning of any working at height operation. In the North Sea for example, there is less risk of dehydration and heat exhaustion. An operative could comfortably work for up to four hours with the right provisions. However, in hotter climates in the Middle East or Gulf of Mexico, there are more factors to consider with a working temperature of up to 35 degrees Celsius. We must assess these risks and ensure personnel can safely carry out their work. Water packs can be issued which are worn on the individual’s back so they have constant access to water, and vented helmets and light-weight kits would also be considered to reduce the risks of dehydration and heat exhaustion. In much warmer locations, we would also ensure that our technicians are not exposed on the ropes for more than an hour at a time. Failures in lifting equipment can result in significant or fatal injuries. Consequently, there are a number of specific obligations on those providing, controlling and using lifting equipment to properly manage these risks. These checks are necessary to verify that the lifting equipment can continue to be safely used and to detect and remedy any deterioration in good time. Sparrows recently conducted a sixmonth lifting equipment project on board a client’s fixed platform with the scope of work carried out in compliance with LOLER. An inspection team liaised closely with the operator to understand the requirement and rope access available on the platform. Once offshore, the team made themselves familiar with the entire platform to gain knowledge of the work location, timescale, scope and plan for any potential hazards and rescue scenarios, should they be required. During the project, the rope access operatives identified a number of items that required upgrade and removal as well as general fabric maintenance. By providing their own access system for the rope access team, the company also removed the requirement for scaffold construction. This allowed the inspections to be carried out without input from the client or asset, ensuring the team had the flexibility to adapt to any ongoing operation. This successfully prevented disruptions which could be associated with the construction, presence and maintenance of access structures. As rope access requires very short periods of work at height, the exposure to hazards was also significantly reduced in comparison to traditional access construction methods. The use of rope access allowed the project to be completed within the set timescale and reduced lifting operation downtime, saving the client valuable time and expense. A detailed inspection report was made available online throughout the survey for the client. Any hazards were also recorded within this report for their knowledge. The risks of working at height are not restricted to rope access, virtually all offshore operations require individuals to work at height. Cranes are extensively utilised on offshore assets as the main artery for supplies and equipment. The operators responsible for operating offshore cranes require comprehensive training and on-going competence assessment to maintain their skill level. Crane operator training should follow a stepped progression plan mixing formal training with exposure, under supervision, at the workplace to appreciate the effect that wind, sea state, vessel movement and the type of load can have on the lifting operation. Each stage of formal training encompasses both theoretical and practical training, supplemented by the individual logging static and dynamic lifting operations, conducted under the supervision of a competent crane operator. 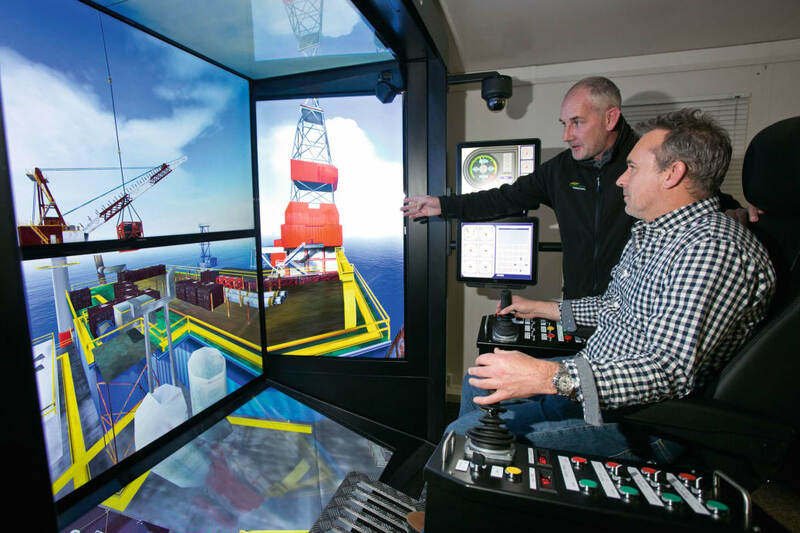 Advanced training should involve time on both cranes and crane simulators to embed learning, and operators should be assessed on a twoyearly rolling cycle to ensure safety standards remain high. 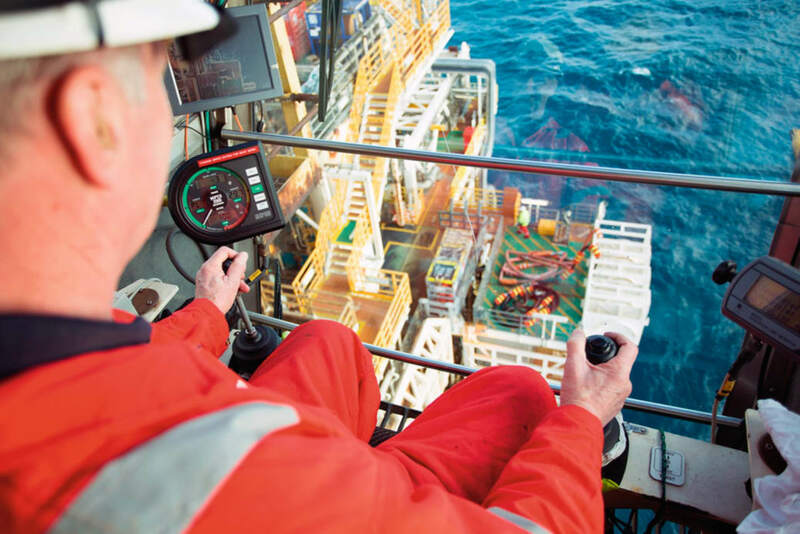 Through training, offshore crane operators gain a solid working knowledge of how their equipment functions to ensure they quickly recognise an unusual situation and react appropriately to land the load safely. Height and depth perception can be difficult to grasp for a trainee crane operator so using a real crane enables individuals to thoroughly understand this concept and to recognise just how precise their movements must be when moving a load. Their reflexes are tested via emergency situations on the crane simulator that could not be replicated at the workplace without catastrophic damage. Offshore crane operation is a safety critical role, the safety of any lifting operation relies on a competent lifting team – the crane operator, the banksman (signaller) and the load handler. The lifting operation needs to be thoroughly planned and the risks assessed. This is particularly important when the crane operator is relying on guidance from the banksman during ‘blind lifting’. Working at heights offshore is a highly critical role that requires extensive training and experience. There are many aspects for operatives to consider in each situation and it’s important to seek training from well recognised organisations that will uphold industry standards in these environments. As the global oil and gas market moves towards an era of decommissioning and renewables, the requirement for rope access and offshore cranes will only increase, so it is essential that safety continues to drive these operations and stay at the forefront of the sector. Peter Rhodes, rope access manager at Sparrows, has more than 10 years’ experience in rope access and has witnessed the increased use of the technique. Susan Fraser has worked at Sparrows Group for more than thirty years. She started her career in human resources before moving into training and development. She has held the role of global head of competence and training since 2010.